Below you fill find all funeral homes and cemeteries in or near Richardson. Richardson is also known as: Dallas County / Richardson city. Their current mayor is Mayor Bob Townsend. Zip codes in the city: 75080, 75081, 75082, 75083, 75085. Some of the notable people born here have been: Eddie Jackson (american football player), Scott Turner (american football player), Charles Shou-San Pao (figure skater), Ugo Chinasa (american football player), Stephen Sowan (actor), Johnathan Gwyn (television producer and television director), and James Douglas (actor). 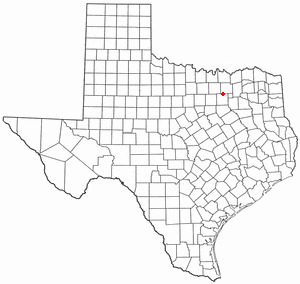 Richardson is a city in Dallas and Collin counties in the State of Texas. As of the 2010 census, the city had a total population of 99,223. In 2014 the population was estimated to be 108,617. Richardson is an affluent inner suburb of Dallas and home of The University of Texas at Dallas and the Telecom Corridor with a high concentration of telecommunications companies. More than 5,000 businesses have operations within Richardson's 28 square miles (73 km2), including many of the world's largest telecommunications/networking companies: AT&T, Ericsson, Verizon, Cisco Systems, Samsung, MetroPCS, Texas Instruments, Qorvo, and Fujitsu.In 2006, Richardson was ranked as the 15th best place to live in the United States by Money magazine. This ranked Richardson the 3rd best place to live in Texas. In 2007, the Morgan Quitno 14th Annual America's Safest and Most Dangerous Cities Awards pronounced Richardson the 69th safest city in America. In the same study Richardson ranked the 5th safest city in Texas. In 2008, Richardson was ranked as the 18th best place to live in the United States by Money magazine. This ranked Richardson the 4th best place to live in Texas. In 2009, Business Week's annual report on the "Best Places to Raise Kids," ranked Richardson in 2nd place in Texas. Richardson was the first North Texas city recognized as a best workplace for commuters by the United States Environmental Protection Agency and the United States Department of Transportation in 2004. As of 2010 the city has continued to be recognized every year since 2004. In 2011 the Texas Recreation and Park Society awarded Richardson with the Texas Gold Medal for excellence in the field of recreation and park management. In 2014, Richardson was called the "5th happiest mid-sized city in America" by national real estate website and blog, Movoto.com, based on a number of metrics, such as low unemployment, low crime, and high income. Also in 2014 Richardson was named America's 17th Best City to Live in by 24/7 Wall St., based on crime, economy, education, housing, environment, leisure and infrastructure. It was noted by The Herald Democrat on January 24th, 2019 that Leonard L Tyler passed away in Richardson, Texas. Tyler was 81 years old. Send flowers to express your sorrow and honor Leonard L's life. It was disclosed by The Herald Democrat on January 20th, 2019 that Donalda Denise "Denise" Weeks (Gerneth) passed away in Richardson, Texas. Ms. Weeks was 59 years old. Send flowers to express your sympathy and honor Donalda Denise "Denise"'s life. It was disclosed by The Lufkin Daily News on December 13th, 2018 that Betty McIlveene passed away in Richardson, Texas. McIlveene was 92 years old and was born in Beresford, SD. Send flowers to express your sorrow and honor Betty's life. It was reported by The Lufkin Daily News on September 27th, 2018 that Linda Lucille Cook (Johnson) passed on in Richardson, Texas. Ms. Cook was 74 years old. Send flowers to express your sympathy and honor Linda Lucille's life. It was written on April 8th, 2018 that Hazel Ann Oliver (Cathey) died in Richardson, Texas. Ms. Oliver was 87 years old and was born in Batesville, MS. Send flowers to express your sorrow and honor Hazel Ann's life. It was reported on January 16th, 2018 that Hazel Ann Oliver (Cathey) perished in Richardson, Texas. Ms. Oliver was 88 years old and was born in Batesville, MS. Send flowers to express your sorrow and honor Hazel Ann's life. It was revealed by Texarkana Gazette on November 2nd, 2017 that Keith Hamilton passed on in Richardson, Texas. Hamilton was 54 years old and was born in Prescott, AR. Send flowers to express your sympathy and honor Keith's life. It was reported by Texarkana Gazette on October 10th, 2017 that Mary Catherine Hansche (Edwards) perished in Richardson, Texas. Ms. Hansche was 73 years old. Send flowers to share your condolences and honor Mary Catherine's life. It was noted on August 19th, 2017 that Margaret Ann Gentry (Slagle) died in Richardson, Texas. Ms. Gentry was 81 years old and was born in Alvarado, VA. Send flowers to share your condolences and honor Margaret Ann's life. It was noted by Texarkana Gazette on August 4th, 2017 that Martinez Turner died in Richardson, Texas. Turner was 51 years old. Send flowers to express your sympathy and honor Martinez's life. The town was situated near what is now Richland College and consisted of a general store, a blacksmith shop and the Floyd Inn. By 1910, residents had seen their first telephone, electric light and gravel street, and had grown in number to about 600. Richardson, who built the line from Dallas, Texas to Denison, Texas Richardson was chartered in 1873. In 1914, a red brick schoolhouse, presently home to the administrative offices of the Richardson Independent School District (RISD), was built. Richardson is a city in Collin County, Texas and Dallas County, Texas Counties in the US state of Texas. 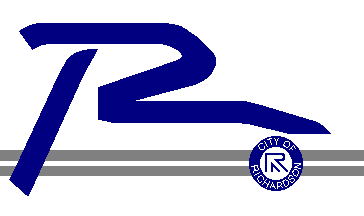 The official website for the city of Richardson is http://www.cor.net. and Joanne Walgren of Carrollton, Texas; a nephew, George Foldesy IV ... Public visitation from 3 to 8 p.m., with the family present from 5 to 7 p.m. Tuesday at Richardson Funeral Home, Cedar Falls. Memorials: may be directed to the family. Listing all funeral homes in Richardson, Texas so you can easily send flowers to any location (same day delivery) or find any funeral service. Funerals in Richardson, TX on Yahoo! Local Get Ratings & Reviews on Funerals with Photos, Maps, Driving Directions and more. Find BBB Accredited Funeral Homes near Richardson, TX - your guide to trusted Richardson, TX Funeral Homes, recommended and BBB Accredited businesses. We work with local florists and flower shops to offer same day delivery. You will find budget sympathy flowers in Richardson here. Our funeral flowers are cheap in price but not in value. Should I Invest in a Family Cemetery Plot?